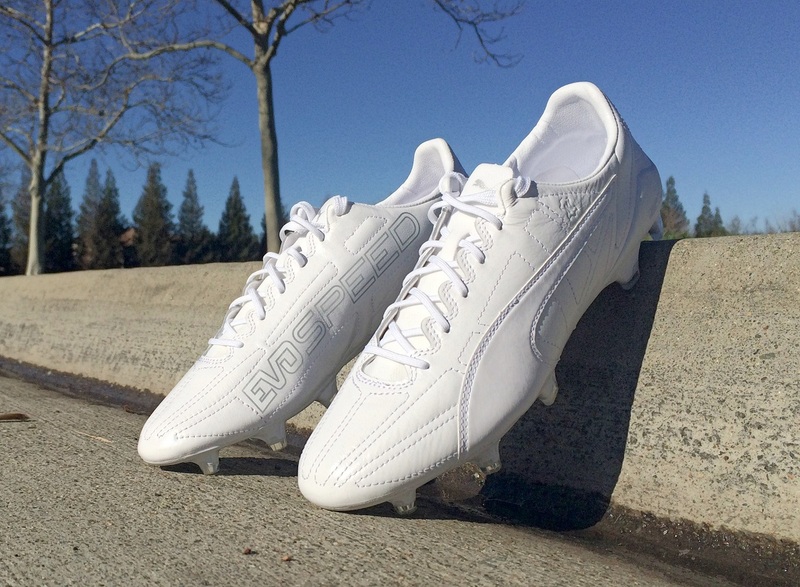 Weighing in at 5.2oz, the Puma evoSPEED SL II K is the lightest ever k-leather game boot released to market. 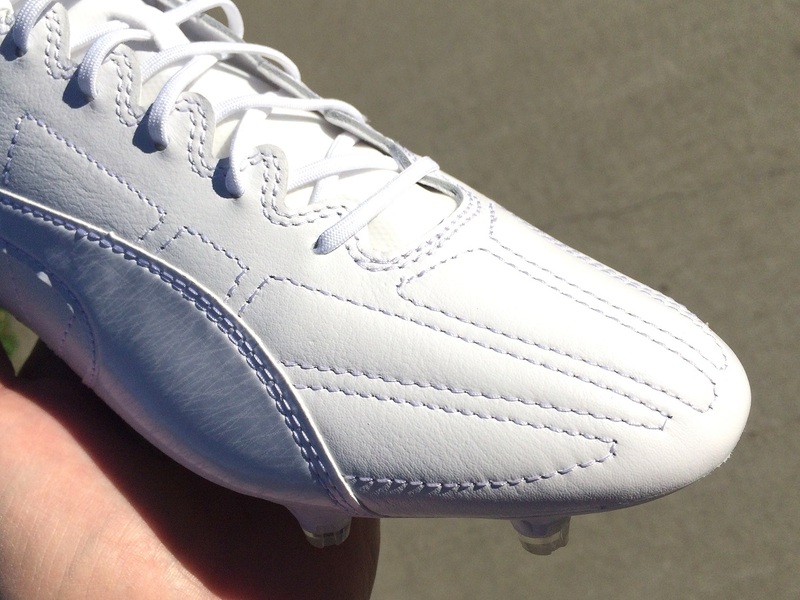 You have got to appreciate Puma’s willingness to push boundaries with evolutionary style designs and tech specs. Built on the same principles as the mainstay evoSPEED silos, a minimalist, extremely flexible soleplate is matched with an ultra thin, quilted k-leather upper. There is an air of simplicity about how they are pieced together, yet they are a very sophisticated release. In order to ensure durability is maintained, a wild series of stitches cases the upper. This stitching allows the material to stretch ever so slightly in a natural fashion through the first few wears. It then provides additional strength and ensures the conformed fit lasts longer. 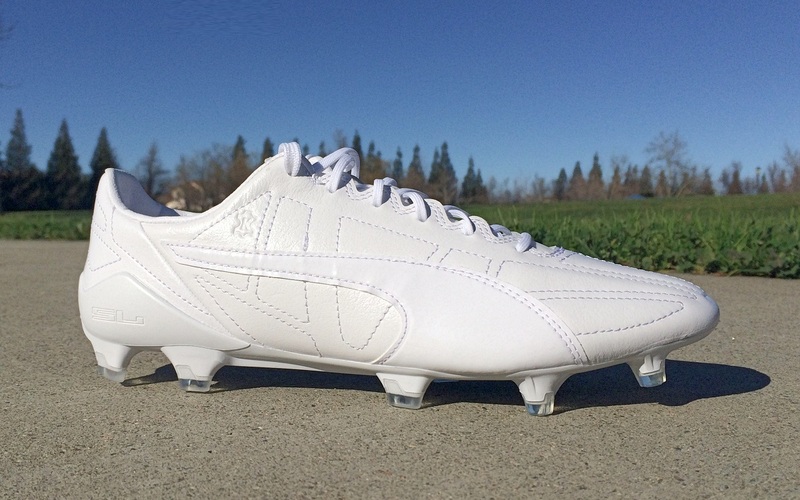 Unlike other SL releases, Puma does not state that these are just intended for game days. They are a shoe ready for action, whether that is on match day or during your training sessions. For purist fans out there, this design doesn’t get any better. 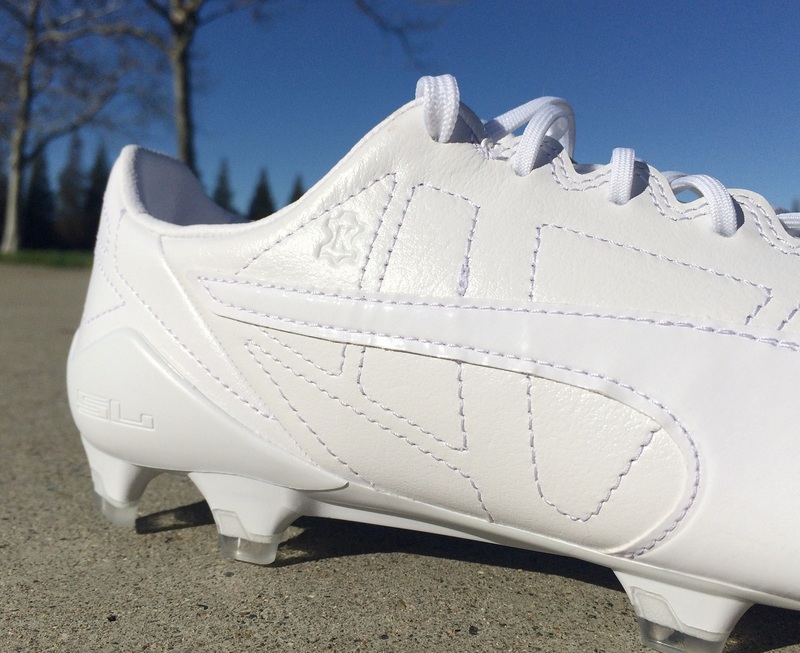 Although they are officially listed as White/White/White, or a Whiteout, the “evospeed” text that sits on the medial side of the boot has a hint of silver to it. This creates a more exquisite look, adding some contrast and it also ensures fans know what boots you are wearing! One important note though, they really are not intended for use on Turf surfaces. In fact, Puma say that they can’t be used on AG. But in reality, that is tough for a lot of players to adhere to. From my experience, if the surface is not hot (ie. summer days) they work just fine. One of the concerns is that the hot surface melts the glue holding upper to soleplate, resulting in seperation. The one thing you wiil encounter, however, is scuffing across the vibrant whiteout upper! 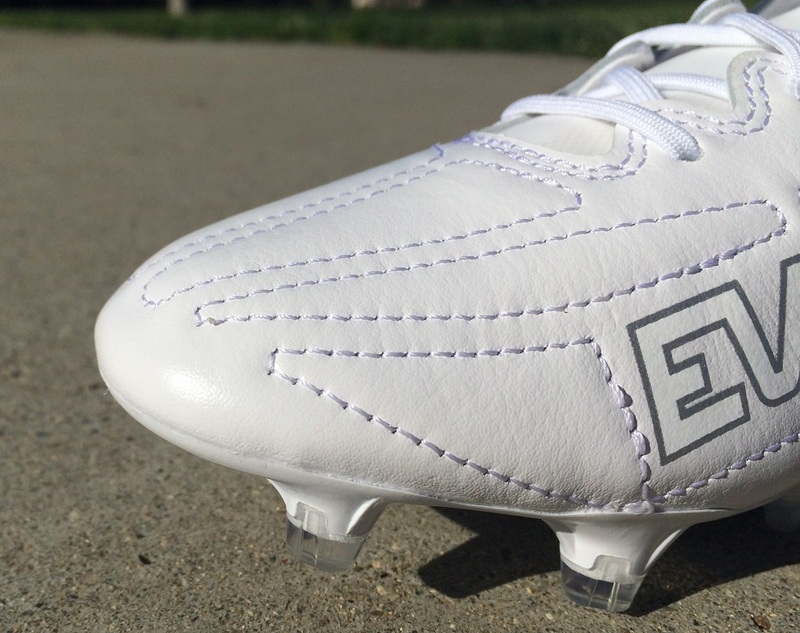 Find these Whiteout evoSPEED available from soccer.com, listed for $249.99.